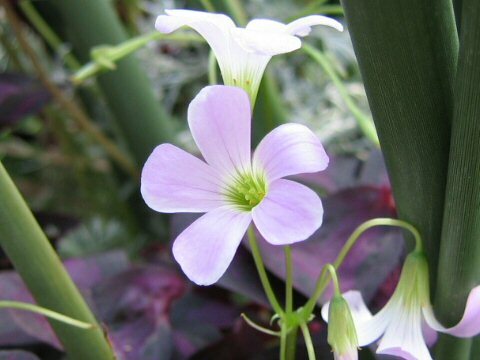 Oxalis triangularis belongs to the Oxalidaceae (the Wood sorrel family). It is a perenniaal herb that is native to Brazil in South America. 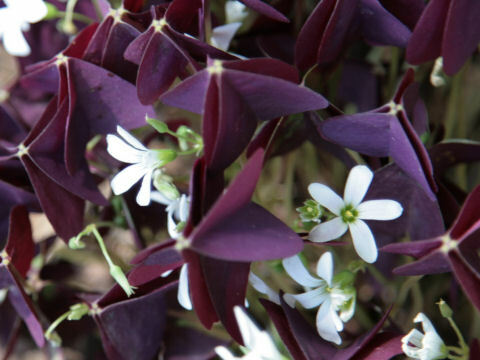 This herb grows about 10-12 cm and features purple brown triangle leaves. 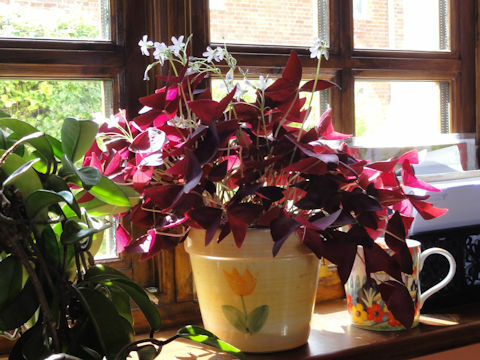 The white or plae pink flowers will bloom from early summer to summer. 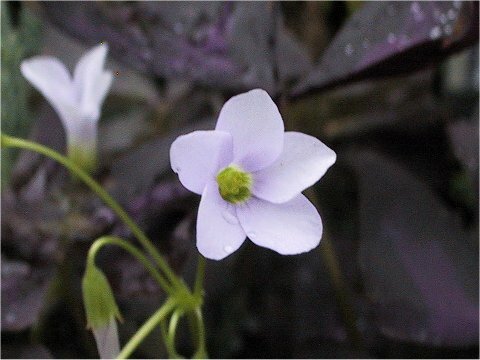 It blooms during the day and the night and cloudy days are closed. The terrestrials are blighted and pass the winter.